Thank you to everyone who has already submitted their entry for the Sydney Quilt Show. There are some beautiful quilts coming in. Entries close on 13 March 2017 - that's just three weeks away. 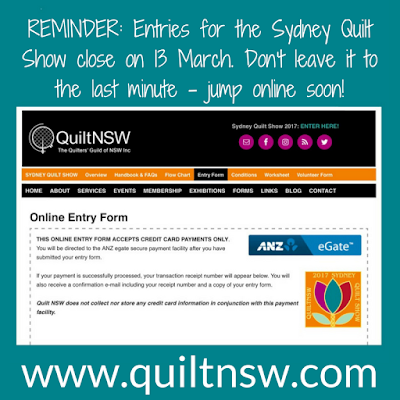 Don't leave it to the last minute, jump online and enter your quilt(s) at www.quiltnsw.com.